Michael Andrew Cook was born in South Australia into a family with singing and instrumental interests. His stage name Mike Segaran adopts part of his father-in-law's name. Starting piano at a young age, he has had numerous musical influences. Some influences include listening to vinyl collections belonging to his parents, grandparents and friends, various music teachers and a year stay in Uruguay. In 2008 Michael won a a Somerville instrumental award and a Regional Arts Australia Youth Volunteer Award. 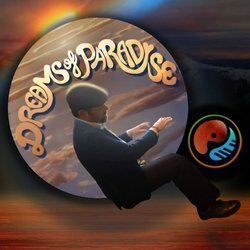 His recent album 'Dreams of Paradise' was recorded at Soggy Dog Recording with the help of some amazing musicians. A light hearted feeling reggae type song, with touches of funk guitar.